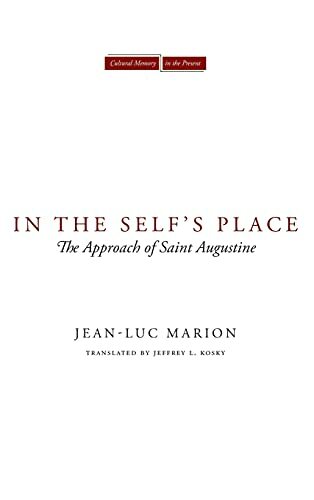 In the Self's Place is an original phenomenological reading of Augustine that considers his engagement with notions of identity in Confessions. Using the Augustinian experience of confessio, Jean-Luc Marion develops a model of selfhood that examines this experience in light of the whole of the Augustinian corpus. Towards this end, Marion engages with noteworthy modern and postmodern analyses of Augustine's most "experiential" work, including the critical commentaries of Jacques Derrida, Martin Heidegger, and Ludwig Wittgenstein. 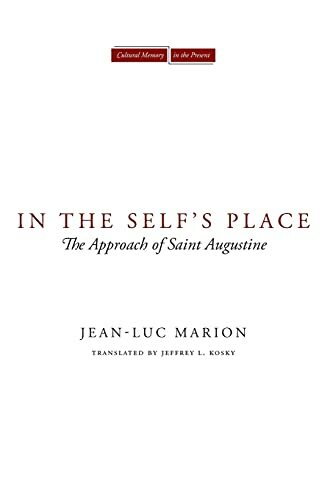 Marion ultimately concludes that Augustine has preceded postmodernity in exploring an excess of the self over and beyond itself, and in using this alterity of the self to itself, as a driving force for creative relations with God, the world, and others. This reading establishes striking connections between accounts of selfhood across the fields of contemporary philosophy, literary studies, and Augustine's early Christianity. Jean-Luc Marion is Greeley Professor of Catholic Studies and Professor of the Philosophy of Religions and Theology at the University of Chicago Divinity School, Professor of Modern Philosophy and Metaphysics at the University of Paris IV (Sorbonne), and a member of the Académie Française. Among his books to have been translated into English are Being Given (Stanford, 2002) and The Crossing of the Visible (Stanford, 2004).